What Does an Arts Education Coordinator Do? Arts education coordinators develop and oversee educational programs in art institutions such as art galleries, art museums, or experimental art centers. These programs may support exhibitions or be part of community outreach and grant-funded programs. Arts education coordinators are also sometimes called museum educators. An arts education coordinator helps make art accessible to visitors and helps to make visitors feel welcome when exposed to new art and ideas for the first time. The administrative arts education coordinator focuses on specific areas pertaining to the operation of various programs and includes promoting activities and events, scheduling, and maintaining the various gallery spaces. An arts education coordinator's salary can vary depending on location, experience, and employer. Qualifications for getting hired as an arts education coordinator vary depending on the type of employer you work for. 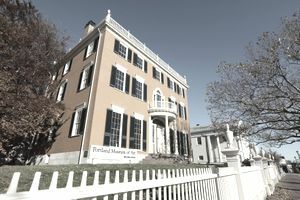 Positions in top museums can be competitive, and candidates with more education and experience may be given preference. Education: To be hired as an arts education coordinator, a bachelor’s degree is typically required, along with coursework in art, communications, education, and marketing. Experience: Candidates may have to work part-time as an intern or as a volunteer at an art institution to gain marketable experience. Interpersonal skills: Having a friendly and accepting attitude to visitors is extremely important, as guiding and introducing visitors to interactive artworks and providing them with a positive experience is key to this job. Organizational skills: Arts education coordinators must be able to multitask and coordinate logistics for several events at a time. Communication skills: Writing and speaking about art for educational events and promoting those events is an important part of the job. Many jobs for arts education coordinators are at museums. According to the U.S. Bureau of Labor and Statistics (BLS), overall employment of museum staff is projected to grow 14 percent through 2026, which is faster than the 7-percent average for all occupations. The BLS does not post specific statistics for arts education coordinator jobs. Art education coordinators generally work in art institutions such as art galleries, art museums, or experimental art centers. The job involves office work and actively running events at the institution, which can include being on your feet for long periods of time. Arts education coordinators can work part or full time, and their schedule usually follows that of the institution they work for. Some evening and weekend work may be required. Interning at a museum or gallery will help you gain some of the experience you need to be hired as an arts education coordinator. Internships.com is regularly updated with new museum and gallery internships. If you don't get an internship, you can always volunteer while looking for a job. Most museums offer volunteer opportunities. Find job listings for arts education coordinator positions on sites like SimplyHired and Indeed. Also keep an eye out for any new jobs that come up where you're interning or volunteering since you already have a foot in the door.